I had been upset with the complete lack of activity of the freedom movement in Utah. I was delighted last week to see two events in the Utah FreedomConnector Calendar last week. The first meeting was a presentation on managing media relations by FreedomWorks. The second meeting was a rally for Mike Lee organized by the Utah Eagle Forum. The first meeting was well researched and had valuable information for any group needing to manage media relations. The meeting was sparsely attended. There was about a dozen people from FreedomWorks, and 20 attendees from the public at large. The Mike Lee Rally had a thousand or so attendees. I admit, I am puzzled as to why the meeting that imparted valuable information was sparsely attended and the rally that was seen as provocative was heavily attended. The Eagle Forum is not really pro-freedom. It is a pro-family group. The Eagle Forums support any legislation or government program that fits an agenda and fiercely attacks anything outside their agenda. 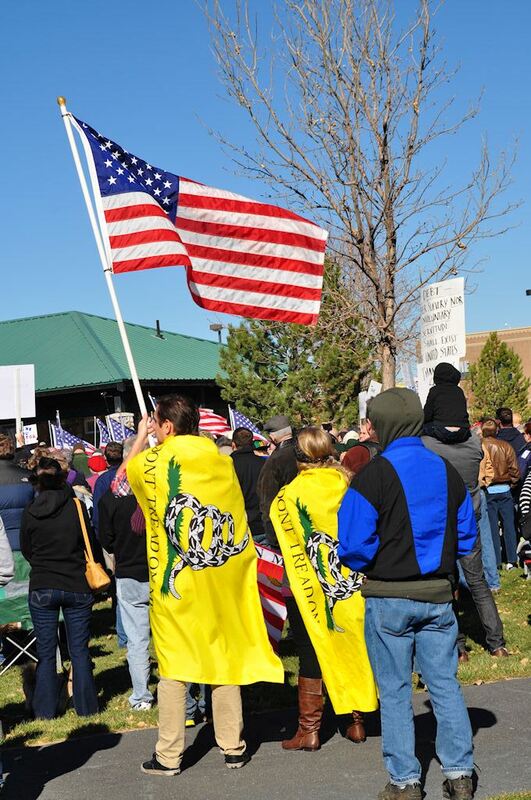 So, I am really not sure if the Mike Lee Rally was pro-freedom. I attended both meetings. The picture below is from the rally. I was saddened though that neither event had any follow through. The calendar was empty; So, I decided to take another stab at holding a meeting on free market health care reform. Okay, yes, this is the meeting that I've been trying to talk people into attending for the last five years. But, you know, the way I see it: If people never talk about freedom, we will be forced to capitulate to the forces of tyranny...just as Senator Mike Lee was forced to capitulate to Harry Reid after the ill fated Government Shutdown.